This unique Allard, Chassis 21D-5151 is the only Palm Beach originally fitted with the 4.0-litre Dodge 'Red Ram' V8 engine. It was sold new to Bernardo Wolfenson of Buenos Aires, Argentina on April 2, 1954, who apparently toured Europe with it prior to taking it to Argentine, before returning to the UK in the 1960s. 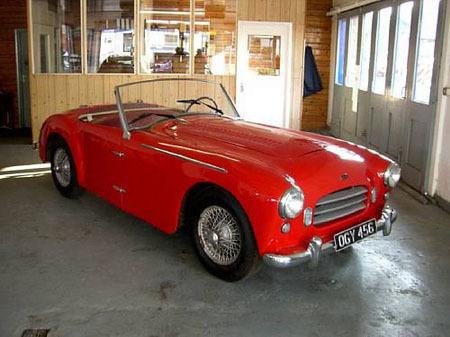 The car comes with a copy of the original Allard order (ordered March 16, 1954) confirming its first owner and 'Home delivery' as it was despatched on the Dover-Boulogne ferry. This car was the prototype for what could have potentially been an exciting relationship between Allard and the Dodge motor company. Dodge was hoping to add a car to their lineup that could compete with the Chevrolet Corvette. This Palm Beach was acquired by the present owner in 1980 (from a Mr Douglas Jamieson of Paradise Cars) and covered only 1,000 miles before being consigned to the Atwell-Wilson Motor Museum in Calne, Wiltshire. The car has recently emerged from the Museum and, although in running condition, would benefit from some cosmetic refreshment and mechanical re-commissioning prior to road use. Finished in red with matching interior, this unique Allard sports car comes with old style logbook and Swansea V5 document. 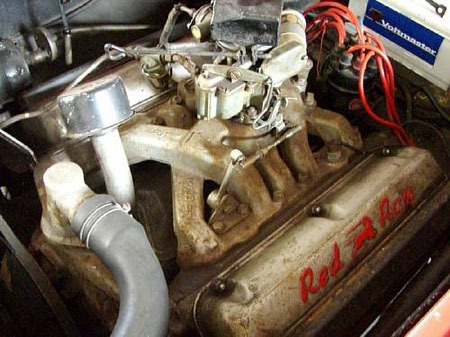 The Tom Lush book (page 160) makes reference to the involvement of Robert Forsythe and Larry Richards of the Allard Motor Company Inc. (USA distributor) plus their wish to get the Red Ram accepted by the Dodge dealership network. As Robert Forsythe put it was a "lost opportunity"
From the photos, the car looks to be very complete, but in need of some TLC. The estimate appears to be a little low for this unique and historic Allard.